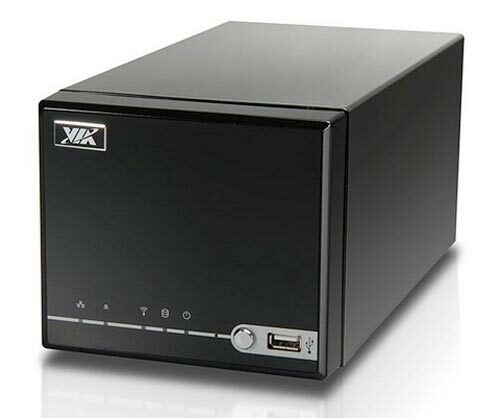 VIA has announced the launch of the VIA ARTiGO A2000 barebone storage system. 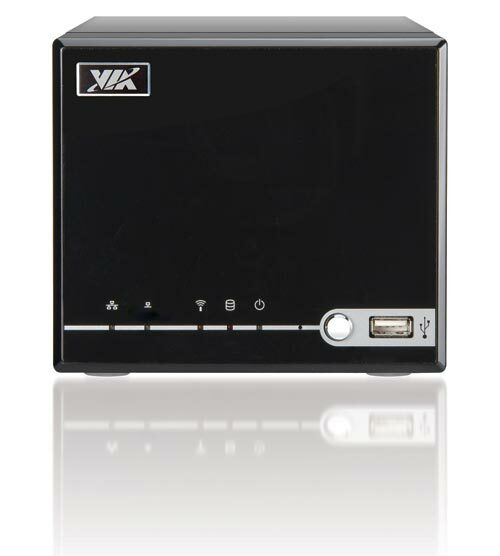 The VIA ARTiGO A2000 is a small, 2-bay mini server designed to be used in the home or by PC enthusiasts. 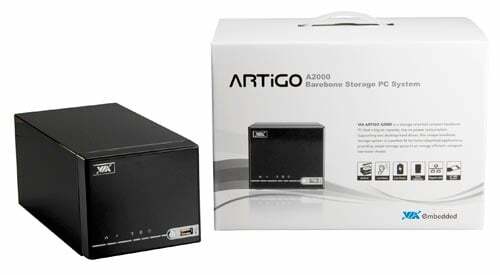 The ARTiGO A200 is about the same height as a CD case, it measures 5.3 x 4.7 x 10.2 inches, and is powered by a 1.5GHZ VIA C7-D processor, and can take up to 2GB of DDR2 RAM. It features two integrated SATA drive bays, with built in power ports which are mounted on the case. Connectivity comes in the form of a Gigabit Ethernet port and 802.11 b/g wireless, there is also two USB 2.0 Ports. There is also a VIA VX800 media processor, which features support for Direct X9.0, hardware video decoding which is capable of HD video, and VIA Vinyl 8-Channel HD Audio. The VIA ARTiGO A2000 will go on sale later this month, there is no word on pricing as yet.